I recently made a big pot of Ham and Bean Soup. Of course, nothing pairs better with ham and beans than cornbread. I grew up eating ham and bean soup with cornbread at my Kentucky-born grandmother's house. She'd make a big pot of the soup and a large pan of cornbread. We'd eat the leftovers for days. 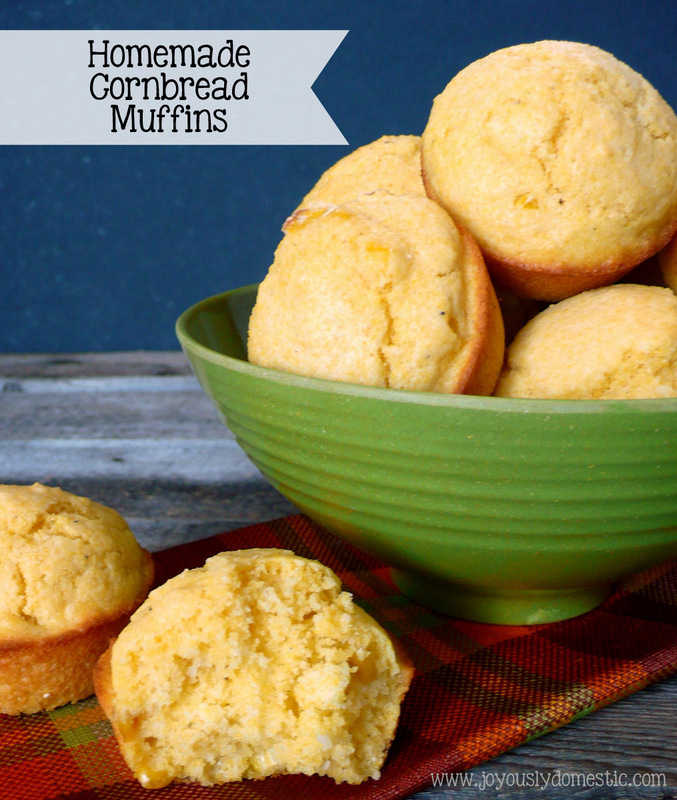 This cornbread recipe is a simple one. I love that actual corn is added to the mix. I use a minimal amount of sugar because I don't care for overly-sweet cornbread. But, if you do - feel free to use a little more sugar than is called for. 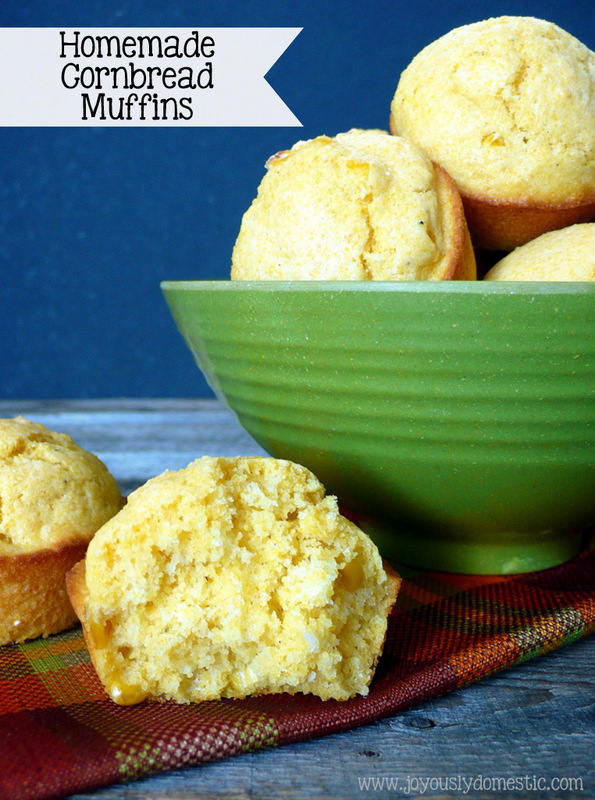 I often make this in a cast iron skillet, but love making the recipe into muffins sometimes, too. The kids seem to enjoy it more this way and I don't have to mess with cutting the cornbread into pieces. Combine together the cornmeal, milk, flour, salt, pepper, sugar and baking powder in a medium mixing bowl. Add in the egg, butter and corn. Stir to just combine. Divide mixture into the greased wells of a twelve-count muffin tin. Bake for 18 - 20 minutes or until muffins just begin to turn golden. Best served warm with lots of butter.